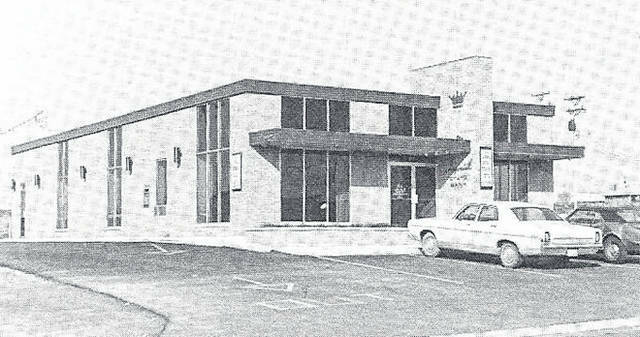 In this undated photo, Imperial State Bank was part of the early growth of Wayne Township and Huber Heights. Editor’s Note: This is the first installment in a series of columns by Historian Pat Stephens called Our History regarding Imperial Development. HUBER HEIGHTS — In the last article I discussed other developers in Wayne Township (before Huber), other than Charles Huber, Imperial Development was one of them. Lee Hilgeford was one of the partners in the Imperial Development Company. He owned and lived on a farm on Bellefontaine Rd. near Kitridge Rd. It was a beautiful old home with swimming pool and a beautiful barn that was used for parties at one time. Lee Hilgeford owned an auto agency in Dayton, and it’s said Lee sold to his son Dwight, and they went into the community development business together. The members of Imperial Development held regular daily meetings, at one of the meetings it was decided to put a road through the farmland, that Lee owned, and connect to Nebraska Ave. This became the first commercial property in Wayne Township and the new road allowed them to lease the land for small businesses. The first businesses were The B & C Market, with fresh meat and deli (you also purchased your yearly license plates there) located on the north east side of Nebraska Ave. and a gas station on the south east side of Nebraska Ave. Howard’s Pharmacy (B & C Market and Howard’s is now Family Video), a car wash, bowling alley (now Dayton Academy of Gymnastics and Dance) and Heights Roller Arena Skating Rink (now Orbit) were also built there. The goal was to make sure the businesses they pursued would best serve the new community. Zoning of the new developments was not easy, this was an agricultural township and the farmers wanted to make sure they could use their land as they wanted. “A foundation was poured and it secured the development of their farms before the zoning laws were passed”. Source: http://hilgefordfamilyhistory.com/…ancestor…/lee-hilgeford/ Resources: Lee Hilgeford Alma Hilgeford, Dwight Hilgeford, Jerry Rowe, Journal Herald, Dayton Daily News. 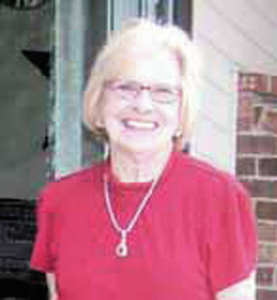 Pat Stephens is a Historian at the Wayne Township Huber Heights Historical Society. For more information about the Historical Society see our website www.huberhistory.org Facebook/Wayne Township Huber Heights Historical Society, email: wthhhs@huberhistory.org, or, call Sue Patrick, President 937-545-4902 or Pat Stephens 937-974-5286.